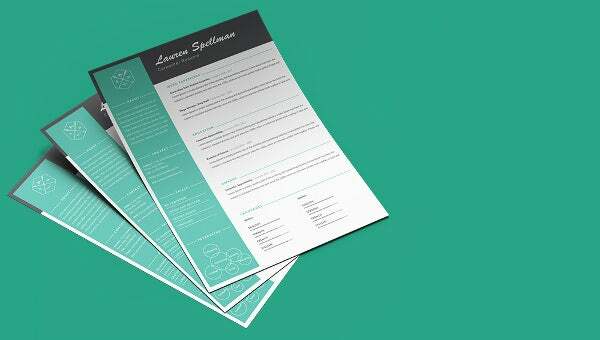 This smart resume template here is for a seasoned and award winning carpenter who is looking for a smart professional Resume Template. It follows a column-like format where on the left you will write a brief about yourself, followed by contact details, skills and interests presented in fun circles. The right side deals with the actual stuff, listing your work experience, educational qualification, awards and languages known. You will get to include both your written and spoken level in each of the languages. 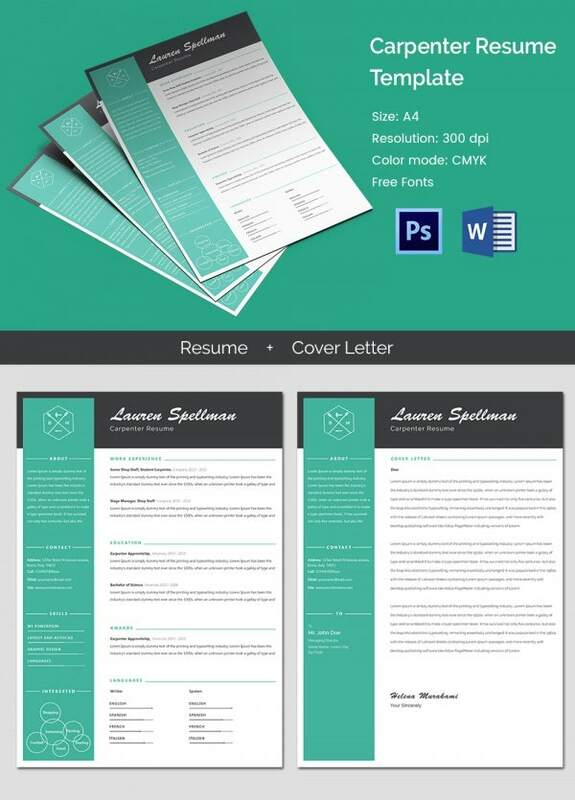 Finally, the template has also come up with a cover letter mockup, where along with the text you can also include a brief about yourself & contact details.